The Baytowne Wharf Neighborhood Association manages the 28-acre heart and soul of the Sandestin Golf and Beach Resort, the Village of Baytowne Wharf, a meeting and gathering place where homeowners and guests stroll the grounds, shop and dine in 45 different boutiques and restaurants, and play and relax on our beautiful waterfront grounds. 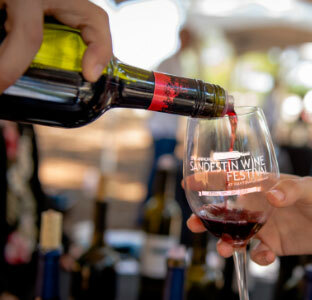 Contributing to the visitors' unique experiences at Sandestin, BWNA engages an active event marketing strategy, producing more than 150 events each year. These events, along with several venues and areas of our property, provide corporate partners with exceptional sponsorship opportunities! Exposure and interaction with upscale families from throughout the South. Ability to access an important demographic group while they are engaged in leisure activity. Opportunities for extensive regional and local advertising and promotional exposure. Opportunities for onsite engagement and activity, especially integrated learning activities, highly favored by families on vacation. Opportunities to activate sponsorship customized to sponsor' preferences, with assistance by BWNA staff. 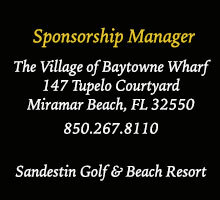 For a more in-depth look at how Corporate Sponsorships with the Village of Baytowne Wharf can benefit your company please contact The Village of Baytowne for more information.